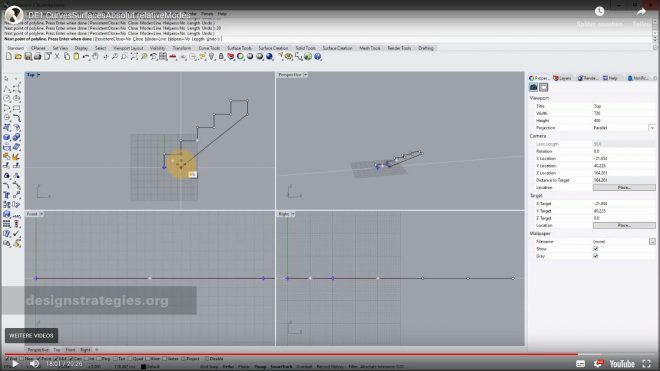 This video is an introduction to Rhino 6 for designers and architects. 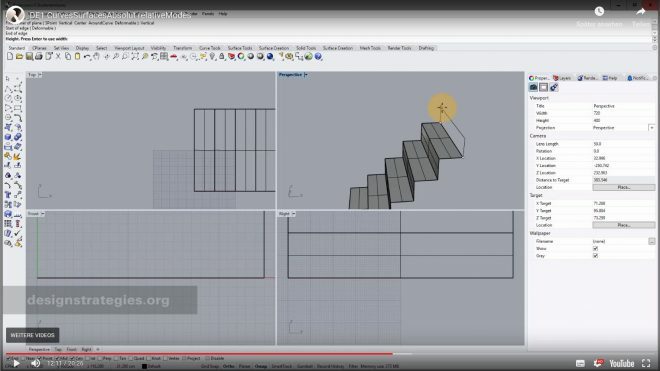 You will learn how to draw explizit with surfaces in absolute and relative coordinates and polyline with the method distance & direction using the examples of staircases. The video supports the course Digital Design 1 by Prof. Klaus Teltenkötter. !This chapter is only a repetition of the previously shown workflow! “Join” (not patch!) all surfaces to create one object!